Nominations for Piranha Beetle Squadron Commanding officer can now be made and are open for the next 7 days. traut sich keiner einen Vorschlag zu machen? Alle ängstlich? Jede Nominierung muss durch eine zweite Person unterstützt werden. Ich finde, dass Micha seine Sache gut gemacht hat, daher nominiere ich ihn. MHG (Micha) needs to respond and accep the nomination by tomorrow night. 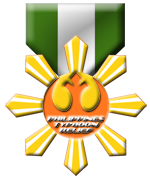 As of 11:59 EDT, there have been NO OTHER nominations for PIRANHA BEETLE Squadron Commander, and the current SCO has not voiced an desire to continue in their position. Therefore I will be trying to contact the current SCO to see if they will retain command. If not I will contact the SXO to see if they will take over command. If I receive NO RESPONSE to my inquiries, PIRANHA BEETLE SQUADRON will be in danger of being Decommissioned and Disbanded due to inactivity and a lack of leadership. Congratulations to MHG (Michael) on his confirmation as Squadron Commander. 1) Select a XO (who MUST be a RLSC member), and post a new thread in this forum titled "2016/2017 Squadron Command" showing the current Squadron Command structure (SCO/SXO). Please do this within the next two weeks. This can be it's own thread, or an on-going one that is just updated year after year. 3) Get your Pilots into the RLSC! As each election shows, we've a lot of pilots in the Legion who haven't gone through the formality of registering for the RLSC. With some bases, this almost caused them to be Decommissioned. Joining is voluntary, but please encourage them to do so ASAP - only by doing so can they view/post in the Squadron sub-forums and participate in the Annual Nominations & Voting. They can sign-up here: http://www.forum.rebellegion.com/forum/viewtopic.php?t=10384.